The aim of the ASoRA project is to improve the estimate of the solar ressource for the Concentrated Solar Plants (CSP) with tower technology. 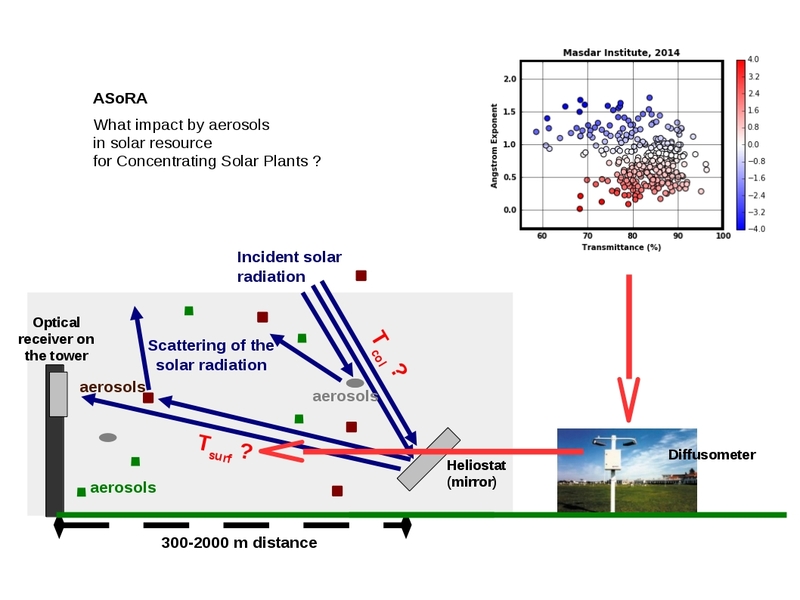 Observation data sets are exploited to derive the attenuation of the solar radiation between the heliostat and the optical receiver. HYGEOS provides all necessary aerosol and radiative parameters to make the best estimate of the plant productivity, considering the atmospheric attenuation. 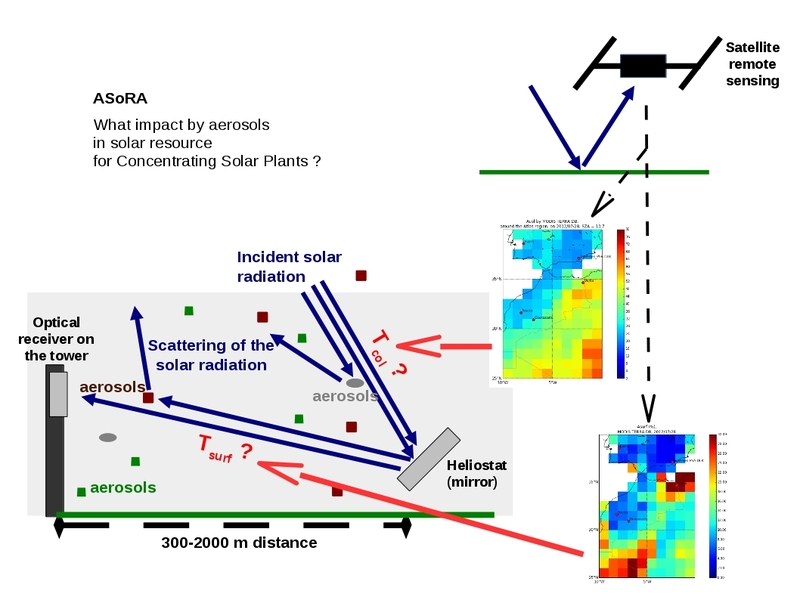 Satellite remote sensig observation data is used to estimate the solar resource for tower CSPs located anywhere in the world. The representativity of satellite products is evaluated by ground-based instrumentation. The diffusometer is an operational instrument providing estimates of the aerosol extinction at surface level. The diffusometer measurements need to be corrected according to the aerosol nature, with an impact of up to +/-4% on slant path transmittance estimates. exploiting satellite remote sensing observation data. 3 posters in 2015, 2016, 2017. 1 oral presentation in 2018 . 4 proceeding papers in 2016, 2017, 2018, 2019. Computations can be provided for any location in the world. Some demonstration products are presented. R&D studies on solar resource in CSPs continue at HYGEOS by hosting a Ph.D. thesis.